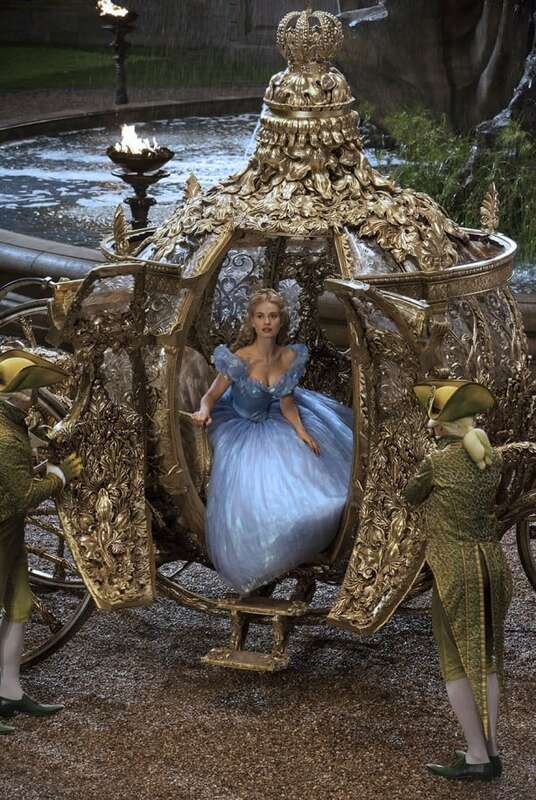 Who else is getting excited to see Disney’s dazzling, live-action feature “Cinderella” when it comes out this spring? Well, for a limited time starting January 17, you can head to Disney’s Hollywood Studios for an exclusive preview of “Cinderella” at the park’s ABC Sound Studio. This special sneak peek will be presented through March 21. The original golden coach from the film is also on its way to Disney’s Hollywood Studios, where it will soon be on display outside the movie theater façade on Streets of America. There, you will have an opportunity to capture your own close-up with this stunning set piece from “Cinderella.” This one-of-a-kind, red carpet appearance of the coach will be available February 1 – April 11, 2015. Inspired by the classic fairy tale, “Cinderella” brings to life the timeless images from Disney’s 1950 animated masterpiece in a visually dazzling spectacle for a whole new generation. Directed by Academy Award-nominee Kenneth Branagh from a screenplay by Chris Weitz, the film stars Lily James in the title role, Richard Madden as the Prince, Oscar-winner Cate Blanchett as the infamous stepmother Lady Tremaine, and Academy Award-nominee Helena Bonham Carter as the Fairy Godmother. “Cinderella” arrives in theaters March 13. Will there be specific show times each day? Will be there January 18 and want to surprise my wife! Adam – Yes. It will show at the top and bottom of every hour, from 10 a.m. until 30 minutes prior to the park closing time. 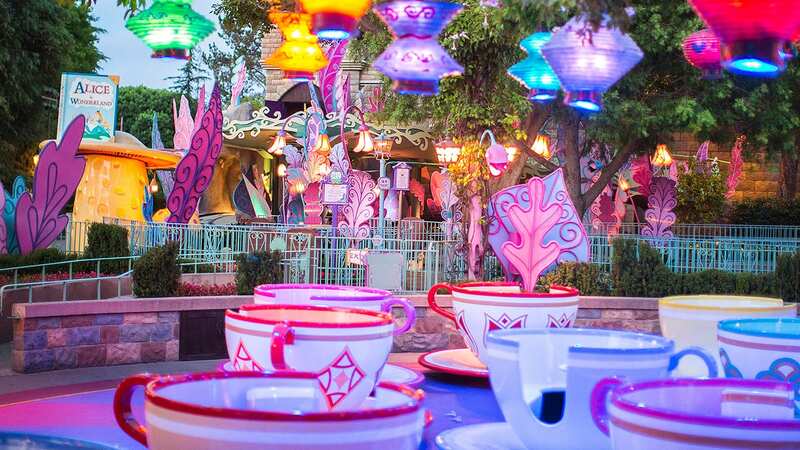 Is this what is going in at Magic Eye @ Disneyland or are we getting Captain EO back finally? Define “Preview” in this scenario. Back in the 90’s I saw the Preview of Disney’s “The Three Musketeers”… this was a full showing of the film with prizes thrown in for good measure. Will this preview be the whole movie or just more of the theatrical trailers and the opportunity to see the golden coach? I am hoping to see it on release day.. Oh yeah, just noticed it’s a school holiday! Woo hoo! Disney Day a few days after my birthday, but I will take it! Patty – Sneak peeks like this typically run 10-12 minutes, offering a preview of the film with exclusive footage not shown outside of Disney Parks. You’ll get to see the whole movie when it comes to theaters in March. I have heard that AP will get early access on 1/16 as well. Can you confirm this to be true? Taylor – That’s correct! Look for details on the Walt Disney World Passholders Facebook page. Shawn—nothing anywhere about sneak peeks for carriage that I can find…. Janice – The carriage will be on display starting in February. I saw the preview on 1/16. The storytelling and cinematography in the preview were great. I hope the movie is as impressive as the preview. Visited today, February 1st, enjoyed the movie preview however the Golden Coach was no where to be found. i was just at the park the other day and the carriage was still not there. We were there on 2/5 and the coach was out. Can the guests visiting Disney’s Hollywood Studios see the preview of “Cinderella” at the ABC Sound Studio?